As hard as it is to remember at a time when a gallon of gas costs less than a box of tissues, there was a time not too long ago when the most important numbers for car shoppers weren’t horsepower, torque, or cargo space, but rather the pair of figures that signify a vehicle’s fuel efficiency. By federal law, every new vehicle must include its EPA-estimated miles-per-gallon figures for both highway and city driving on its window sticker. But with hundreds of new models and variations being released every year, how exactly does the EPA determine that number? Let’s deal with the short answer first: they don’t. As many publications pointed out when Volkswagen was caught cheating emissions tests with their diesel vehicles, the EPA requires vehicle manufacturers to run their own tests, and essentially takes them at their word unless a problem arises. The EPA tests 15-20% of new vehicles on their own, but often focuses those tests on vehicles that are either likely contenders for the industry’s best MPG or are barely efficient enough to avoid the gas-guzzler tax. And you can’t exactly lay blame for lack of direct oversight on the EPA automotive team: a staff of just 18 men and women manages to exhaustively test the emissions of 1 in 5 vehicles on the road, ironically making our government’s efficiency experts possibly the most efficient members of our government. So how does the EPA test the vehicles it does handle on its own? The same way the manufacturers do, and more or less the same way companies have for years. 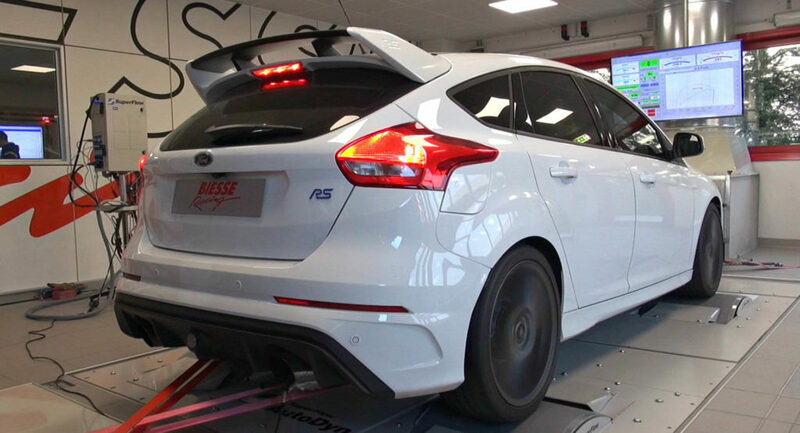 Testers place the vehicle on a dynamometer (or dyno for short,) which is basically just a treadmill for cars. They adjust the difficulty of the dyno to account for wind resistance and the vehicle’s weight, then run the vehicle through “cycles,” which are designed to simulate normal driving. A cycle to estimate city MPG, for example, would include more starting and stopping and a lower average speed than a highway cycle. In vehicles using carbon-based fuels, testers determine how much fuel is being consumed by hooking a machine to the exhaust pipe. By analyzing carbon levels in a vehicle’s exhaust, testers can determine fuel efficiency more accurately than ever before. So while those stickers on the window of that incredibly efficient vehicle you’re interested in probably weren’t confirmed by the EPA, rest assured that they were tested by someone, and that manufacturers that try to fudge the numbers are more likely to be caught than ever before.